In the face of tough economic and political conditions, a fishery on the Kamchatka Peninsula in eastern Russia recently entered the Marine Stewardship Council (MSC) assessment process, publicly committing to improve the sustainability of their pink, chum, and coho salmon fisheries. 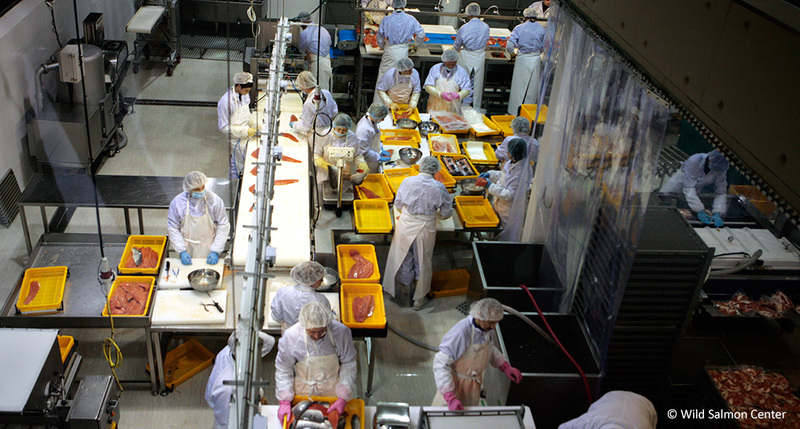 The two companies, Vityaz Avto and Delta, which also operate the MSC certified Ozernaya sockeye fishery, aim to increase the sustainability of up to 30,000 tons of salmon caught on the West Coast of Kamchatka. This effort comes on the heels of a successful Fishery Improvement Project (FIP) that was initiated in collaboration with Ocean Outcomes. With this new MSC commitment, over half of Kamchatka’s wild salmon fisheries are in third party certification assessment or a FIP. The Kamchatka Peninsula is home to some of the world’s most prolific wild salmon runs, and the region’s fishermen produce the world’s second largest haul of wild salmon after Alaska. Fishermen effort to improve sustainability of such globally important fisheries is vital to ensure a sustainable seafood supply and to provide more sourcing options for the seafood industry. Andrei Bokov, Chief Technology Office for Vityaz Avto and Delta said his companies re-committed to the fishery improvement process in order to bring higher value for their fish and open up new market opportunities, as was the case for their Ozernaya sockeye fishery when it was MSC certified in 2012. The high return on investment from the Ozernaya project has opened the door for a number of fisheries in Kamchatka to engage in the fishery improvement and certification process. These developments on Kamchatka stem from years of work led by Ocean Outcomes, Wild Salmon Center, WWF Russia, and members of the Salmon FIP Partnership to engage and support the sustainability of wild salmon fisheries across the Russian Far East. Since 2009, fishery improvement efforts have contributed to three Russian salmon fisheries achieving MSC certification (Iturup, NE Sakhalin, Ozernaya) and another three fisheries entering MSC full assessment (Aniva, Narody Severa/Bolsheretsk, and West Kamchatka). While progress has been made to improve the status of fisheries across the region, much work remains to help increase transparency and strengthen management of these globally significant fisheries. For more information on these fisheries, visit Ocean Outcomes’ Salmon FIP Tracker. The full MSC press release can be viewed here.